Our all-time favorite footwear brand, CROCS seemed to really know how to make its loyal fans (that includes me!) 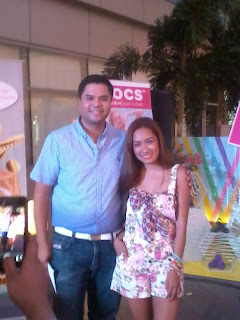 happy as it introduces another exciting collection that’ll surely make your summer travels even better. 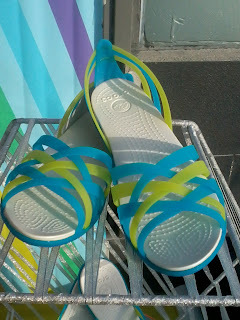 CROCS announces the arrival of their Beach Line Collection as it take on the classic topsiders. Well, people born from the 80’s would definitely remember how comfy, trendy and cool rugged topsider shoes actually looked like. 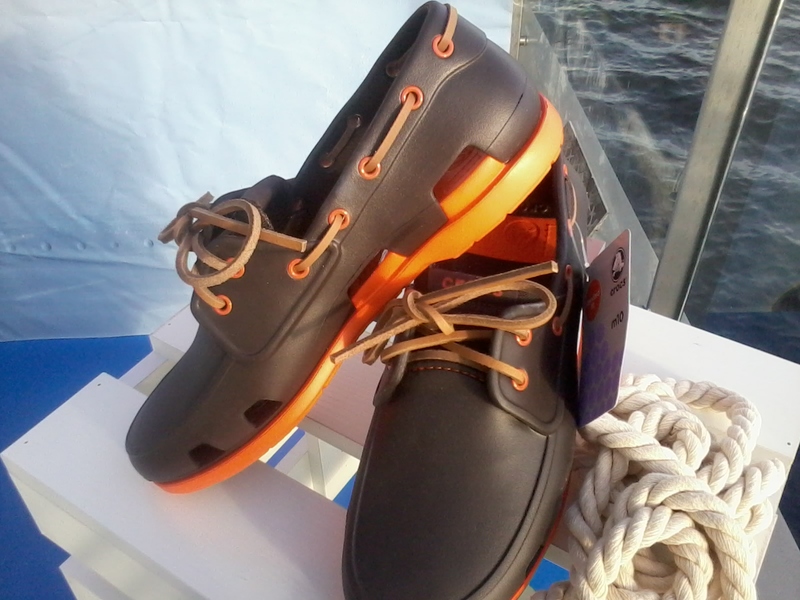 But for the younger ones who do not know exactly what I’m taking about, CROCS’ classic topsiders are not your typical and ordinary boat shoes. 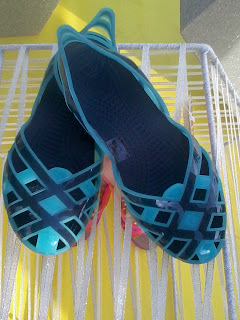 They are a lot comfy, sturdier and with a molded new look. Not to mention, CROCS latest beach line collection also offers more daring and bright colors to choose from. In line with its promotion, CROCS launches an online game called RUN, SAILOR, RUN! The said game is a Facebook based app where an online player gets to collect coins as you run, evade obstacles and hurdles while collecting bonuses. It’s really a very exciting game, and get this: the highest scorer wins an all-expenses paid, 3-night trip to Singapore for two, as well as a trip aboard the CROCS Yacht! How awesome, right? The more friends play along, the higher the score, the higher the chances of winning the grand prize. Amazing prizes are also up for grabs for consolation prizes such as CROCS goodie bags and big discounts. 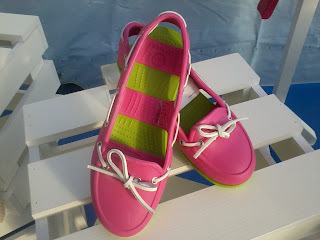 A Crocs topsider with a twist! Crocs New Boat Line shoes. CROCS Ambassador Laureen Uy, and top bloggers David Guison and Camille Co are thrilled to be once again part of the new CROCS campaign. 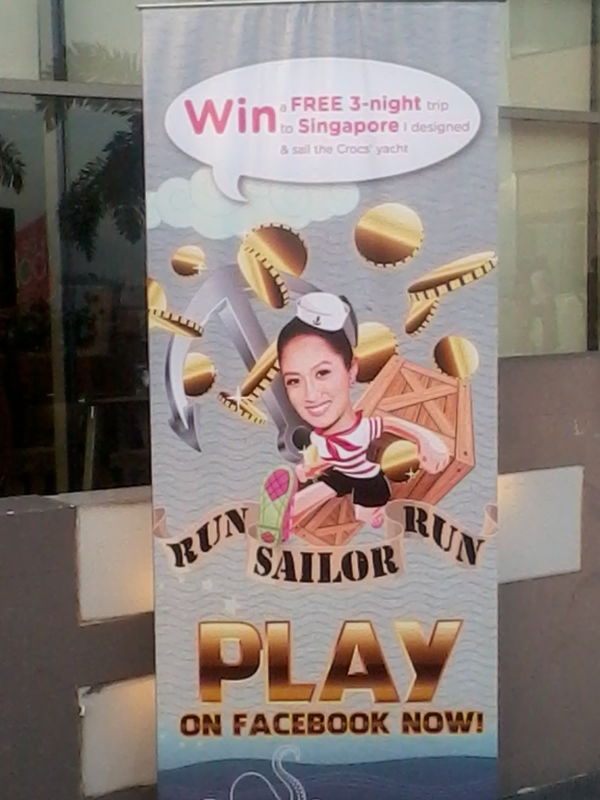 Laureen Uy is the face of the RUN, SAILOR, RUN! Game, and is part of the team who conceptualized the prepared itinerary trip to Singapore. The new Beach Line collection gives anew twist to the 80’s iconic topsiders. CROCS made them so light so you won’t feel sluggish when walking. 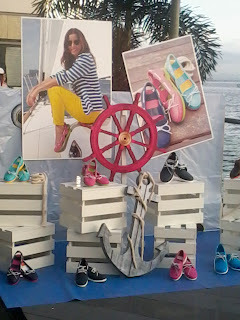 During the said launch held at the White Moon Bar of the Manila Ocean Park, I personally had a feel of the CROCS boat shoes and I’d have to say that they’re really made for walking and perfect for long travels. It gives one a feeling of walking under soft pillows, very light yet sturdy. 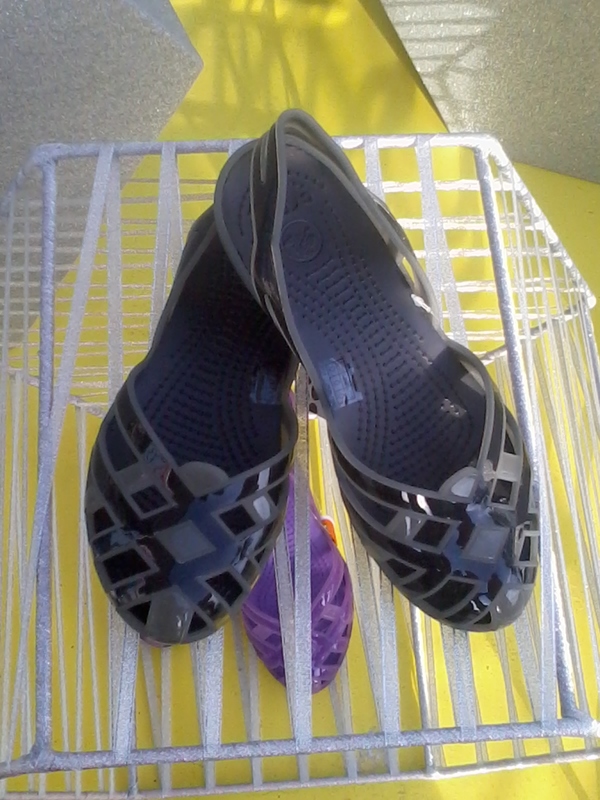 The shoes just like any CROCS have a siped rubber sole for a stronger grip and traction. 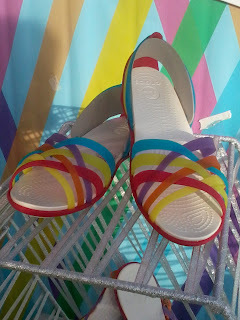 With bubbly colors and lightweight form, you can definitely pair it with anything you wear everyday. 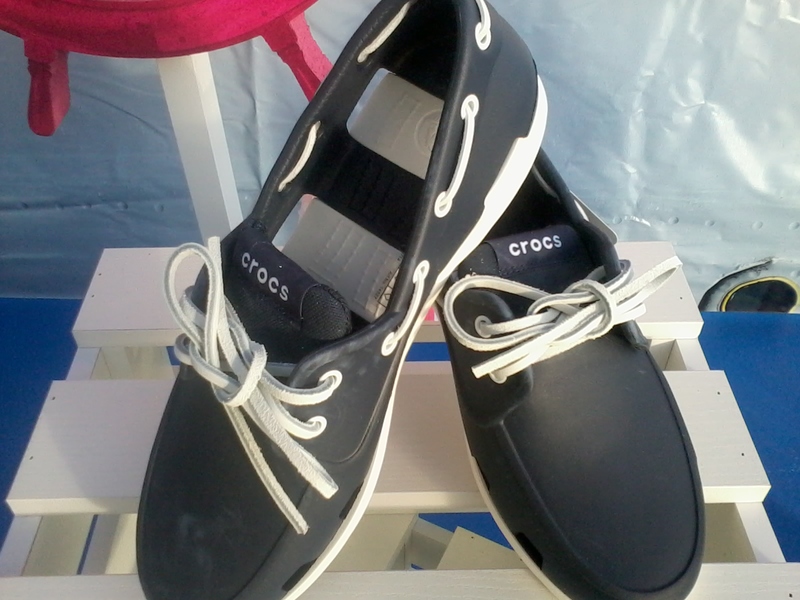 I’m also really a true-blue CROCS fan. 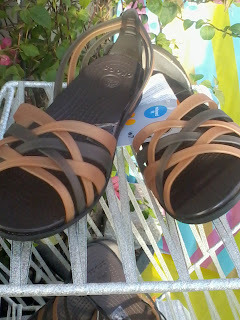 Although I only have quite afew pair of CROCS, I will never compromise comfort over style. Comfort should always come first. 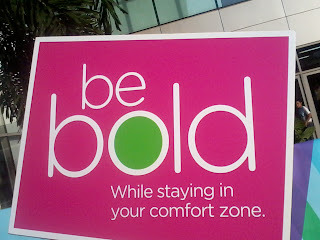 And I’m truly glad that CROCS does have both: comfort + style + function. Walking indeed becomes more bearable with a pair of lightweight CROCS around. CROCS use Croslite material, a proprietary, revolutionary technology that produces soft, non-marking, and odor-resistant shoes that conform to your feet. CROCS are sold in over 90 countries around the globe. 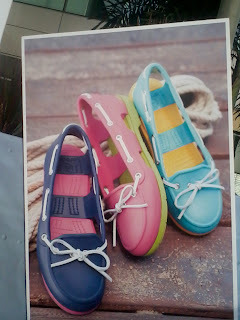 Trends may come and go, but over the years, CROCS has retained its position as go-to comfort and durable shoes. I’m looking forward to wearing a pair of lightweight and comfy CROCS on my next trip abroad in June. With CROCS, I know if only my feet could talk, it would probably thank me. If you guys haven’t had a CROCS in your lifetime, now is the best time to try it. So go ahead and check out the CROCS Beach Line. It’s now available in all CROCS concept stores nationwide. 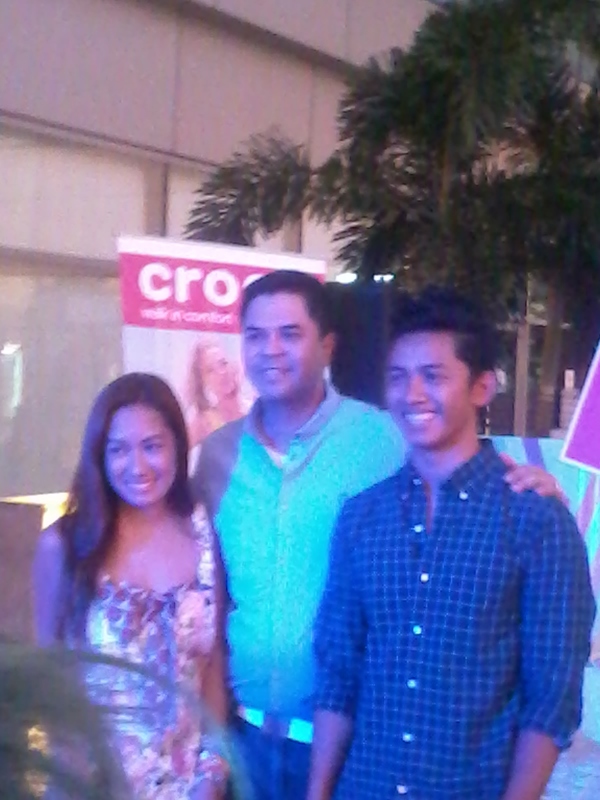 Laureen Uy, Francis Limjuco of Crocs Philippines and blogger David Guison. So for people looking for style, comfort and durable shoes, CROCS is the brand for you. And while you’re at it, check out its Facebook game RUN SAILOR RUN! ON THE CROCS Philippines Facebook page, or access http://www.runsailorrun.com/app/ph/home.html. 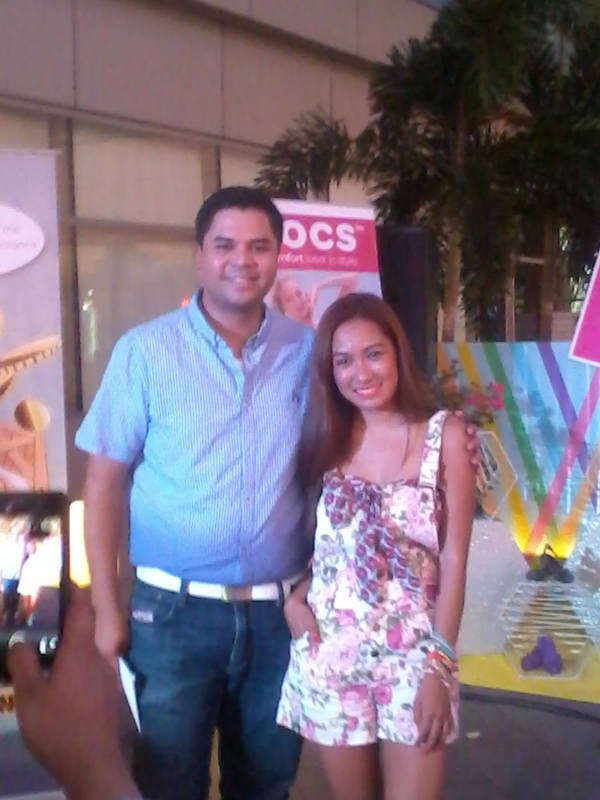 Follow CROCS on Twitter @crocsph and like them on Facebook at Crocs Philippines. Purple Plum Fairy thanks Ms. Cindy Manalo. Disclaimer: I am not compensated for this post. Opinions expressed are entirely my own.